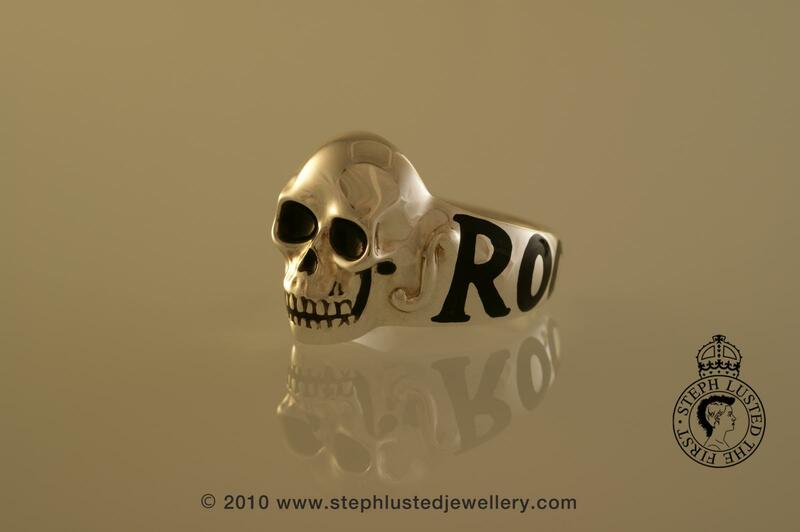 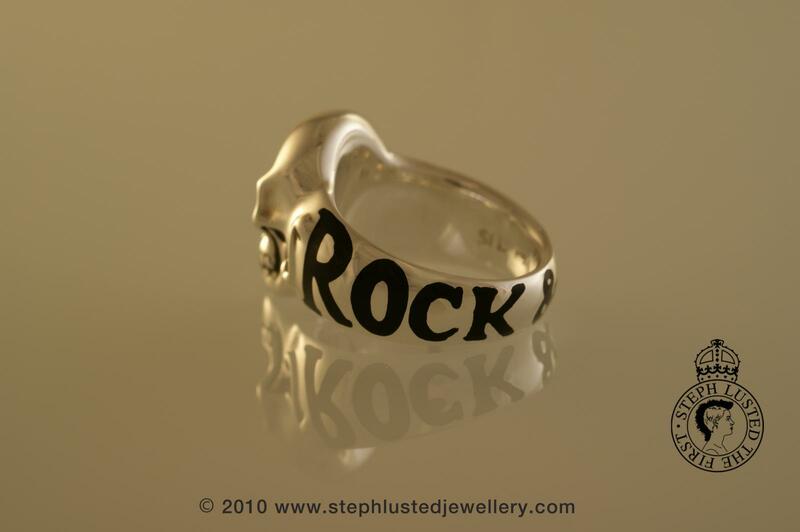 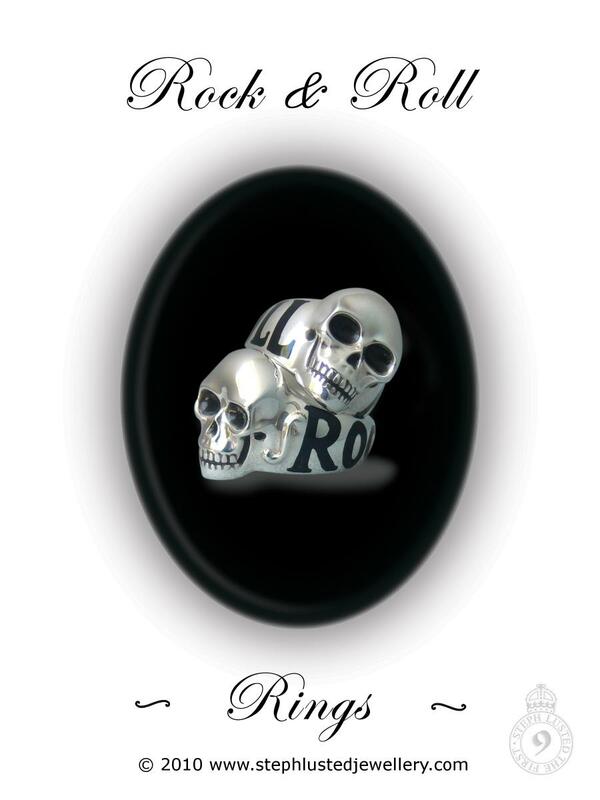 Handcrafted from Sterling Silver this beautifully crafted skull ring features the words 'Rock & Roll' in black enamel around the ring. 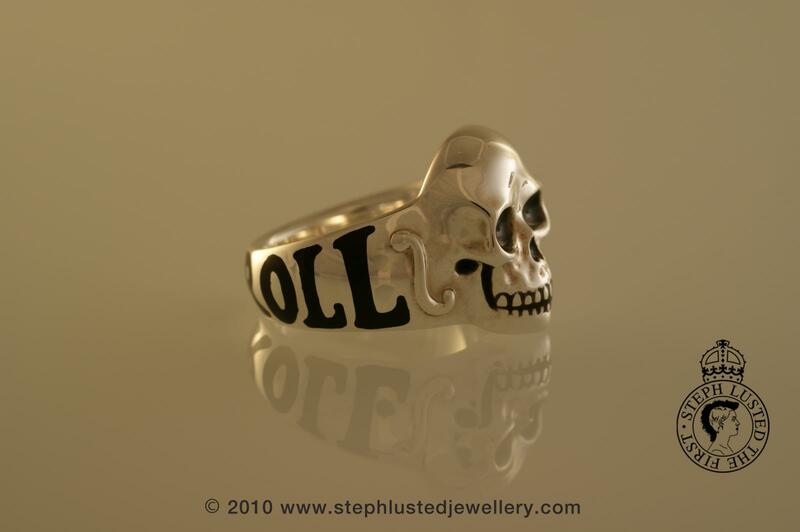 The smooth form of the ring adds comfort and is a must have for any skull enthusiast. 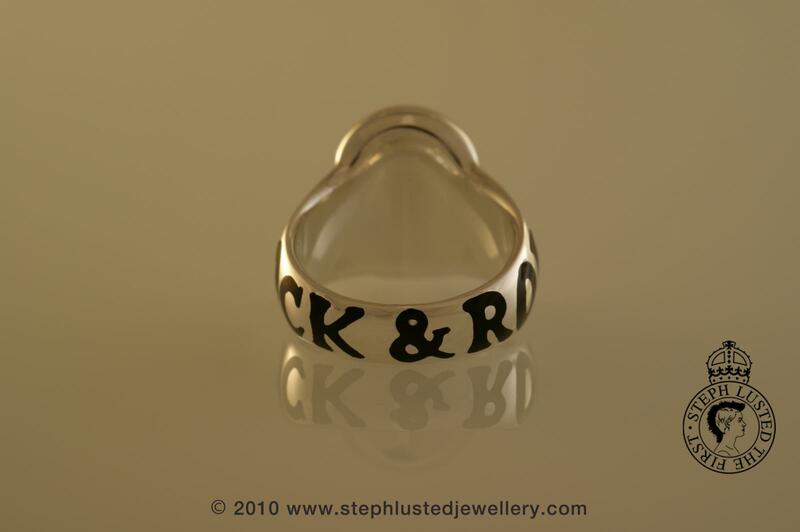 Finished with a Steph Lusted Jewellery high polish.